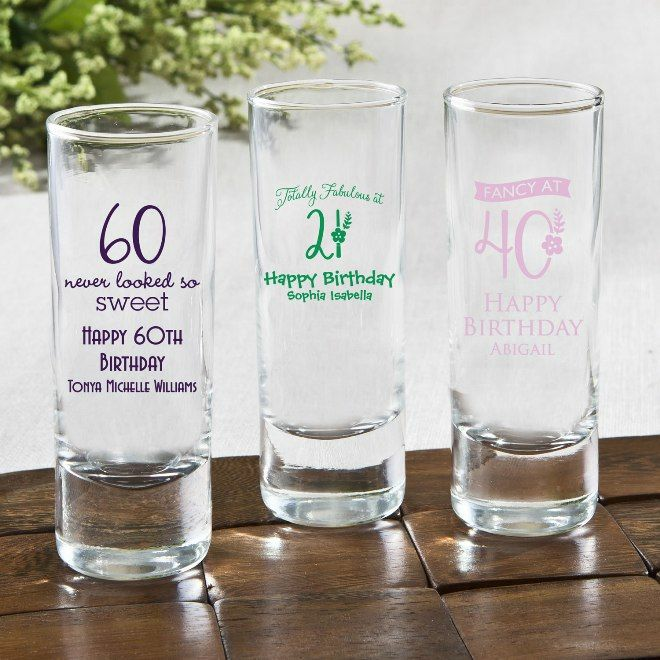 These clear glass birthday shooters are such a value! Measuring 4" tall x 1.5" diameter, each tall slender shooter holds 2 ounces. 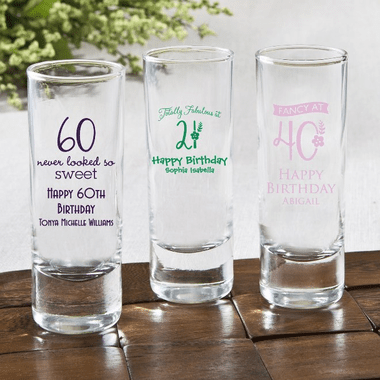 Create your own custom design with lots of birthday images available.